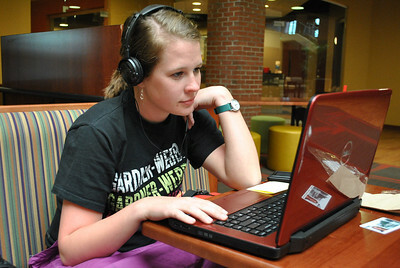 4-9-13: Student Ruth Anna Housand studies in Tucker Student Center. 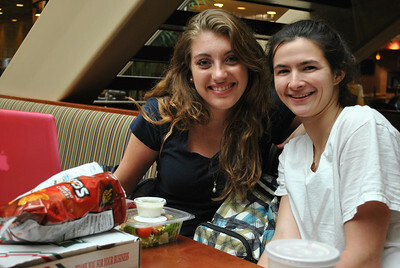 4-9-13: Student's Emily DeVries and Mary Toohey hang out in Tucker Student Center. 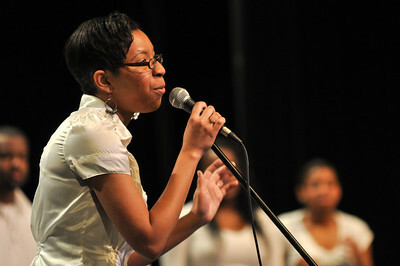 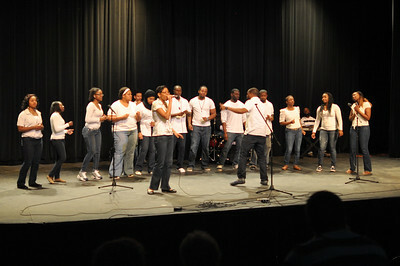 The GWU Gospel Choir perform at the Ariane Patterson Memorial Night in Dover Theater on April 5, 2013. 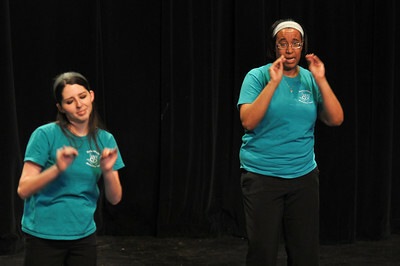 Joyful Hands perform at the Ariane Patterson Memorial Night in Dover Theater on April 5, 2013. 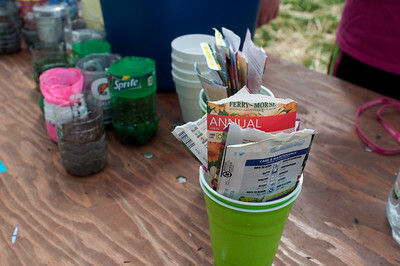 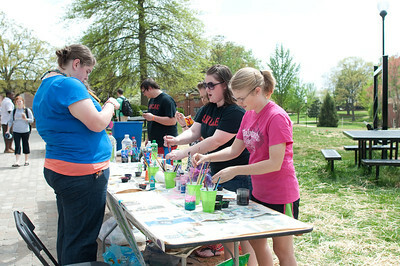 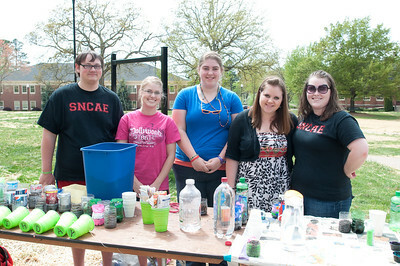 The Student North Carolina Association of Educators assist students in making recycled flower planters during the Earth Week Fair on Thursday April 18, 2013. 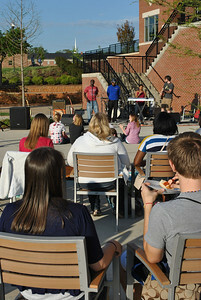 4-3-13: The last Verg of the year is held outside. 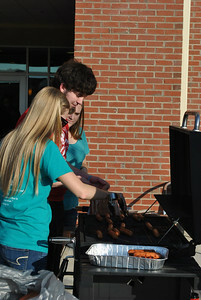 4-30-13: Students, Ben Parker and Meredith Comer, enjoy hot dogs at the Verg cookout celebrating the end of the year. 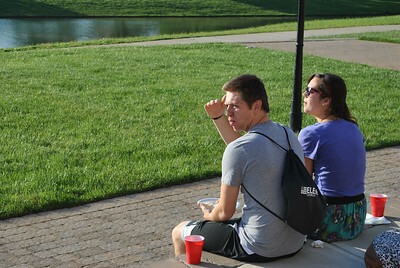 4-30-13: The last Verg of the year is held outside with a cookout. 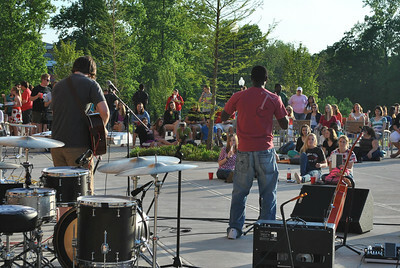 4-30-13: David Hutton and Darelle Dove perform some original songs at the last Verg of the year. 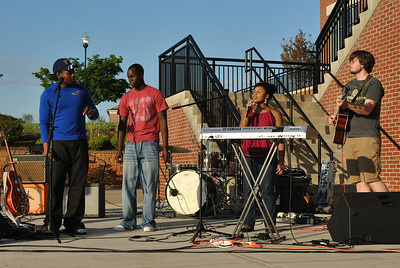 4-30-13: Darelle Dove, David Hutton, and some friends perform some original songs at the last Verg of the year. 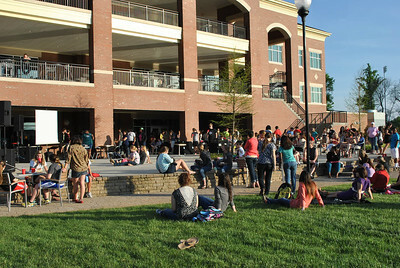 4-30-13: The last Verg of the year is held outside. 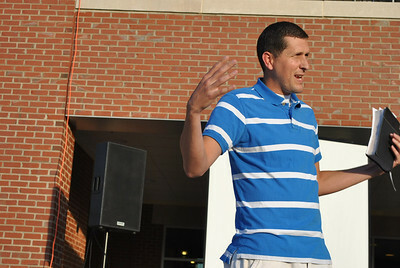 4-30-13: Neal Payne speaks at the last Verg of the year.